In this segment we are going to "Install OpenWrt on Raspberry Pi 3 Model B"
OpenWrt is a highly extensible GNU/Linux distribution for embedded devices (i.e. wireless routers). Unlike many other distributions for these routers, OpenWrt is built from the ground up to be a full-featured, easily modifiable operating system for your router. In practice, this means that you can have all the features you need with none of the bloat, powered by a Linux kernel that's more recent than most other distributions. Micro SD Card "Minimum 2 GB"
To start this project first of all we need to download the OpenWrt Raspberry Pi Image from the download link. Once the image successfully downloaded we need to flash the image onto the SD Card. 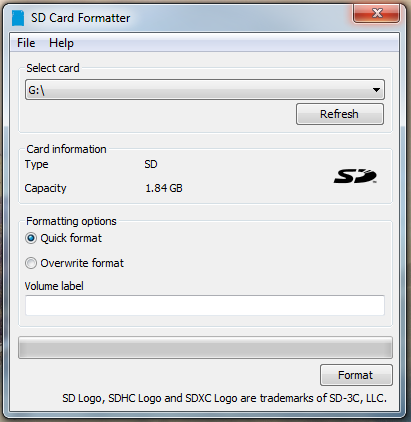 Now, We need SD Card Formatter tool to format the SD card. Once, the card is plugged in, It will automatically detect by the computer then you need to click on format to format the Card. Now we need to plug in the SD card, connect the Ethernet Cable, Power Supply to complete the setup. Its time to turn on the Raspberry Pi device it will take up-to 2 minute to boot the OpenWrt operating system. Now, you can directly access your OpenWrt router page by typing the default IP Address : 192.168.1.1. To setup a static IP Address to our OpenWRT router by using commands. We need to login to our router by using Putty and type the router IP address for router login. Then on the first login we need to set a password for our OpenWrt router because there is no default password for this Image. Then we need to enter the new password 2 Time to change it. Then we need to type the following commands to setup a static IP adress. After the commands sucessusfully executed we need to reboot the OpenWrt router. To update the OpenWrt router we need to change the static IP address to DHCP. Then we need to choose Network>>Interfaces and from here we need to edit the LAN connection. Because we are connected to our main router using LAN connection. After the we need to change the protocol to DHCP and click on switch protocol. Once it done then we need to save the changes and we will get a new IP address from our main router. We can find the new IP Address by using Wireless Network Watcher and connect to our OpenWrt router easily. After that we need to use this IP address to connect OpenWrt using Putty and then we can update our router using update command : opkg update. If you are not able to login to router GUI then you need to follow the below instructions. Use putty with default OpenWrt IP Address 192.168.1.1 and then type these commands. Now your OpenWrt on Raspberry Pi 3 Model B is ready to use. 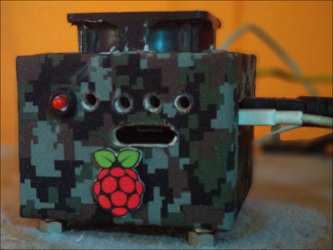 Restart the Raspberry Pi and start using it.